Many entrepreneurs question the value in joining an accelerator program. Will I gain value from giving up equity in my company? How will the program help me? Can’t I just do these things on my own? It also seems like there is a new accelerator program popping up every week, and this may be diluting the perceived value of all of the programs. As we’ve had our ear to the ground in Silicon Alley, we’ve come to see that not all accelerators are the same, and that there are a number of programs based in the city that are doing things right. Right at the top is Entrepreneurs Roundtable Accelerator. ERA has built quite a track record with the companies that have emerged from the program since its inception in 2011. When considering the network of 200+ seasoned mentors, $40K in cash plus the chance for follow on investment in subsequent rounds, free services including legal, technology, and travel through its vast network of sponsors, Demo Days attended by some of the most prominent investors in the country, and the extent to which the program gets your company ready, giving up a few percent points of ownership doesn’t seem like a bad proposition for inclusion into this highly selective program that can mean the difference between having an idea and building a sustainable business. The deadline to apply for the winter session is coming up on November 15th. 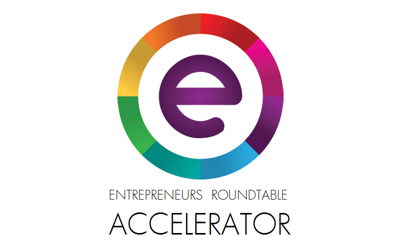 You can apply through a short application on the ER Accelerator website.